Presidential primary candidate Bernie Sanders made an unexpected trip to his home state from State College, PA, landing in his senatorial home state of Vermont after results from the polls from the New York primary—and news outlets—declared rival Hillary Clinton the projected winner of the Democratic presidential ticket. 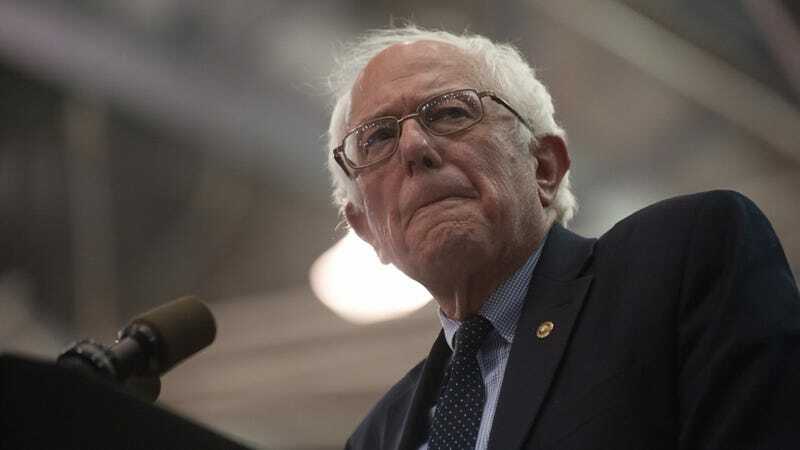 “’We believe we have the momentum, and we believe we have a path of victory,’ Sanders told a small group of Vermont reporters a few minutes after he landed at the Burlington airport. Five states vote next week — Connecticut, Delaware, Maryland, Pennsylvania and Rhode Island — and Sanders said he is looking forward to winning a number of those states. “I am really concerned about the conduct of the voting process in New York state, and I hope that process will change in the future,” he added. As of the publication of this article, The New York Times posted that Clinton nabbed a total of 135 delegates and 57% of the popular vote, while Sanders accumulated 104 delegates and brought home a respectable 42.3%.